​We made an interview with Raphael Monnier who is the co-founder of Yangon-based architecture and design company Blue Temple. He shared his thoughts and visions about renovation of Gyo Phyu pipeline. Monnier, who was born and raised in China, is working to operate the project with a diverse, multi-skilled team. "It is very important for us to underline the fact that this project is a platform for engagement. We see collaboration as a powerful tool, going against the ongoing status quo where individual private companies work in rivalry against each other," he said the important of collaboration and engagement. 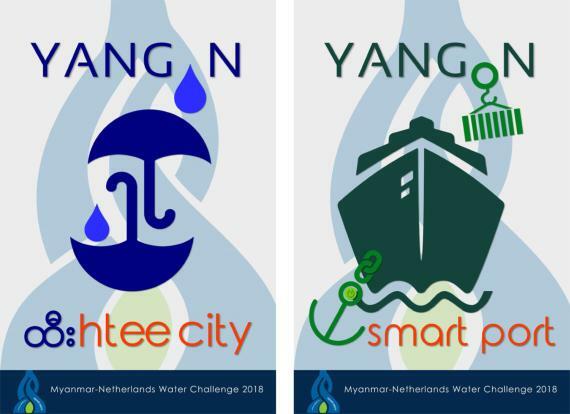 This platform has already started to show strong links with local NGOs, international world leading architecture firms, local bamboo construction experts, local communities, government officials, local universities such as YTU (Yangon Technological University), STI Myanmar University, MTU (Mandalay Technological University), WYTU (West Yangon Technological University), international and local photographers and others. "Any incentive of sensitizing to informal settlement protection, getting building permits from local government, designing bamboo pavilions, organizing art projects and others are warmly welcome," he encouraged people and community to get involved the project. "The idea is not to promote our company but to promote collaboration," he claimed. Gyo Phyu reservoir is located about 64 kilometres (40 miles) north of Yangon. It has the capacity of 166,000 million gallons and has a dependable yield of 93,300 cubic metre per day and was completed in 1940. (Ref. MegaCities Yangon: Transformation Processes and Modern Development). Gyo Phyu pipeline becomes highway or shortcut for the pedestrian. So let's check out the interview session with Raphael Monnier. 1) What is the future plan of Gyo Phyu Pipeline? 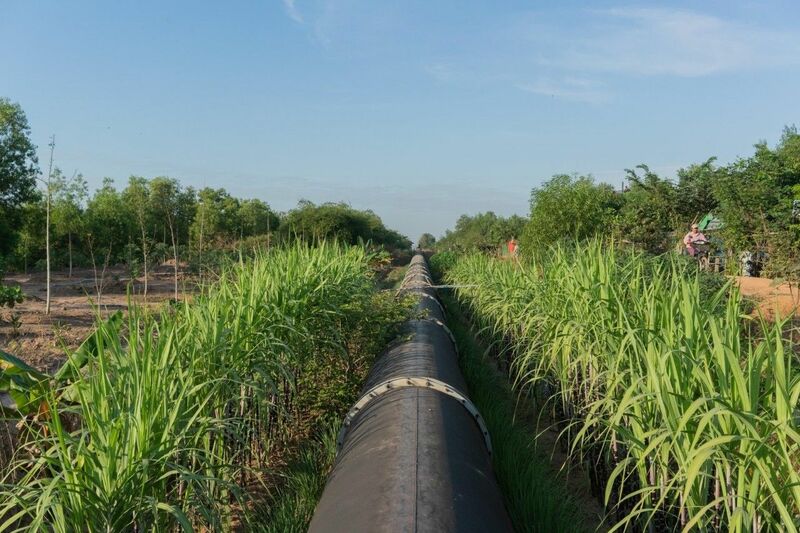 Build in the 40's by English Engineers using American products, the Gyo Phyu pipeline is now the home of many local communities. Today it has become a community center, a meeting place for young people, a playground for kids, a pedestrian highway for local dwellers, a home for homeless families, a dating area, and much more. Reflecting on the innovative ways local communities were able to adapt to this uncanny environment and build a home, the future development of the pipeline would enhance this behavior by incrementally upgrading the pipeline into purposeful public spaces. 2) Why do we need to renovate the pipeline? On both sides of the pipeline, some informal settlements can be seen today. Having lived there for over 15 years, they are now threatened of eviction. They were previously living in other settlements in Yangon but got kicked out because of development projects, without being given any other alternative place to go. Their contribution to the healthy neighborhood goes from barber shops, small tea shops, trash picking, 20L water bottle distribution, and others. While public opinion looks down on these communities, their only intention is to create a better life for their family and children, and more importantly creating a home. The children attend the local public school, the husbands are workers or night guards around the area. By including these communities in the processes of design, construction and maintenance, this project opts to protect them and guarantee their safety and stay in the area. This project isn't just an architectural intervention for the sake of public space design; it is also an anti-eviction program. Through this pilot project, we hope to propose a new form of socially responsible and ecological development in Yangon; using innovation as a tool of leverage. 3) How can we improve the pipeline in the perspective point of landscape architects? The pipeline is 9.8 kilometers all the way to the airport and almost 15 kilometers more to the reservoir. The scale of this infrastructure goes beyond the scope of architecture and into urban planning and landscape design. 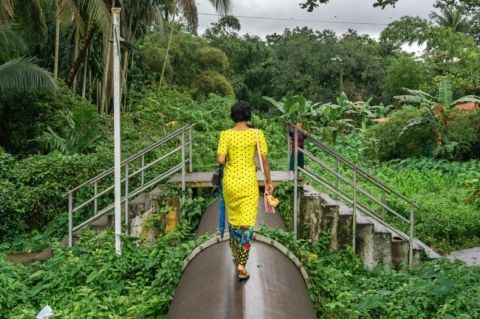 Similarly to other linear parks like the "HighLine" in NewYork or "La Coulée Verte" in Paris, the pipeline in Yangon presents an incredible opportunity to create a green corridor that joins the whole city together. The pipeline passes through remote urban areas where nature is still very present; many initiatives can be implemented such as urban bee hives, wetlands, urban farming, and bird watching. Moreover, by upgrading the pipeline into an accessible pedestrian highway would definitely help to promote alternative car-free circulation networks in the city. 4) Could you please share me some examples of pipeline renovation in other countries? The inspiration of this project comes directly from a creative appropriation and usage of the pipeline by the local community living around it. It is therefore very localized and contextual project that is not replicable in other places. This concept doesn't come from technocrat experts, applying well-conceived ideas into a neighborhood; it is not part of a pattern that can be seen elsewhere; it is proper to Yangon's Gyo Phyu pipeline context. I did, however, come across another pipeline renovation project in Mumbai called " The Landlink Design Prototype" designed by Mumbai City Lab and MARS architect. The project hopes to create a rickshaw highway to connect two major slums together, and on the long term build bigger substantial infrastructure to host working areas. The idea of a photography participatory workshop was an appropriate way to continue dialoguing with the community and better understand the site and its context through their own lens. By handing out 10 cameras to young community members as we teach them photography and storytelling basics; with the help of Yuyu Myint Than, a recognized Burmese photographer; we aim to set the ground for them to become advocates of their own living conditions and explore their environment and daily life as well. Once the workshop it's finished, we plan to set up an exhibition at an abandoned warehouse within the community along the pipe where the stories of the participants will be shared. For this exhibition we will renovate the warehouse into a space that in the future could foster social and creative exchange. Moreover by setting up this exhibition in the community space we also aim to raise awareness on some of the issues we want to address through our project such as decentralization, promoting low-tech innovation and informal settlement protection. The exhibition is planned for mid-March.